If you wish to upload the database from a file, you can do it using a CSV file extension. CSV stands for Comma-separated value. CSV file format uses comma as a field separator and new line as a new data record. Woodpecker uses CSV files to import and export the data. 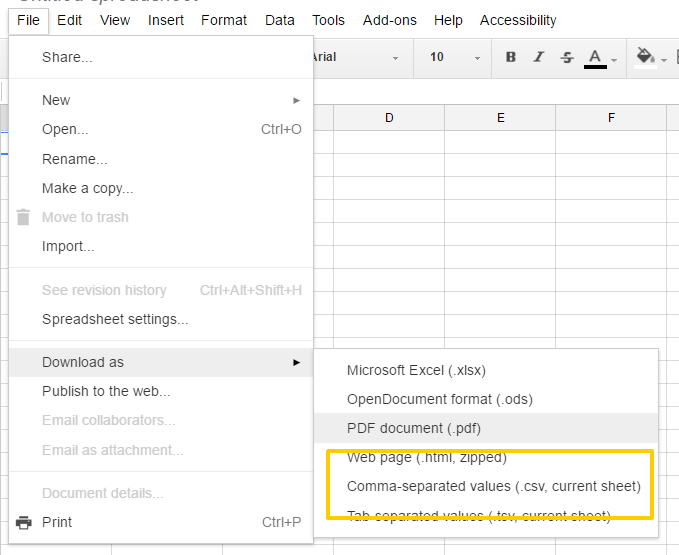 You can export your sheet to a CSV file from any web or desktop sheet editor. * Please make sure your Sheet program is configured to use UTF-8 coding. Some programs such as Microsoft Excel make it difficult to export properly coded CSV file. For that reason, we advise using Google Sheets in the process. How to create and import a CSV file? *Woodpecker considers an email address as a unique contact ID, please include single email address per row and one data entry per cell. *Opening and saving downloaded file through notepad may clear the text from diacritic signs such as ć, ż, ó. You might want to check if your program is configured to use UTF-8 coding. When your CSV file is ready, you can import it to Woodpecker. You can find additional information about how to import prospects in Woodpecker in our Quickstart guide - Step 4.